You’re engaged! Now what do you do? Being engaged can be super exciting but overwhelming at the same time. The first thing you need to do is set a date or at least a month, as this will help you narrow down all the other possibilities! So okay, you’ve chosen a date but now what? Your family is giving you a list of things to do, Instagram and Pinterest are giving you a list of things to do! Pretty soon you’re feeling overwhelmed and unsure of how to prioritize and truly maximize your time. 1. Call your parents and close friends/family and send out save the dates! This is especially handy if most of your family live far away, this way they can start planning ahead and making arrangements for travel, etc. Even if you don’t have an exact date, it’s a good idea to let people know as many details as possible in advance. 2. Draft a guest list. One of the most stressful things to do during wedding planning. Here at TrueMateWeddings suggest you write down an A-list (people you MUST have at your wedding). Then write down a B-list (people who you would LIKE to have at your wedding). This helps you to choose a venue as you would need a rough idea as to how many guests would be attending. Never under any circumstances let anyone on your B-list know that they don’t fit into the “MUST invite” category. Chances are they already know this…depending on the relationship, but it would still be in poor taste. When creating your wedding budget you really want to think about which areas of the wedding are a priority to you. Are you more concerned about guest enjoyment than you are about the aesthetics? Then perhaps you’d want to invest more into hiring a stellar DJ and selecting a menu that’s sure to wow their taste buds! On the other hand, if you’re someone who really enjoys wowing your guests with extravagant decor and wearing a top designer gown, then you could spend less on the DJ and buy those beautiful flower arrangements that cascade down from the ceiling! It’s your BIG day so you decide on what’s important, keeping in mind that there are industry standards for pricing and you do get what you pay for! Also, do your research so you know what the average photographer, DJ, etc cost! This is usually the first thing a couple does before hiring other vendors, so if you’re choosing a popular venue and getting married between the months of May- October, chances are they don’t have many dates left! Some couples will book 2 years in advance to secure their favourite venue. 5. Now that you’ve got your venue, you have a bit of time to relax, unless you’re trying to plan everything in less than a year! 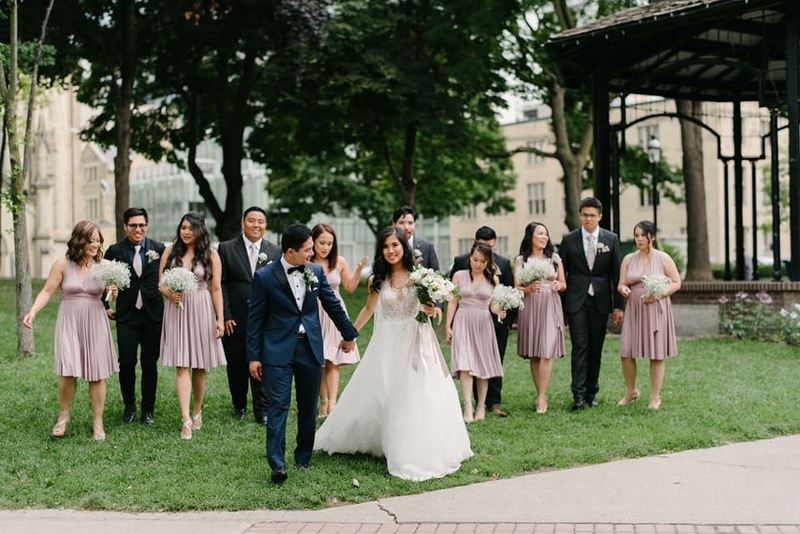 The next item on your to do list —we definitely recommend creating a checklist to help you keep track of the important tasks you need to do — would be to book in your photographer, videographer and DJ. These vendors can only service one wedding in a day and are in high demand. Having a quality DJ can make or break the party and overall guest experience, and who doesn’t want beautiful photos to look back on? Videos also add a nice touch when it comes to reliving the experience and the joy of your special day! 6. Write down all the details around your vision! Start putting together a wedding board with ideas on what you want your wedding to look like. This step is easier when you know your budget, so you’re not putting down ideas that would surpass your budget. 7. 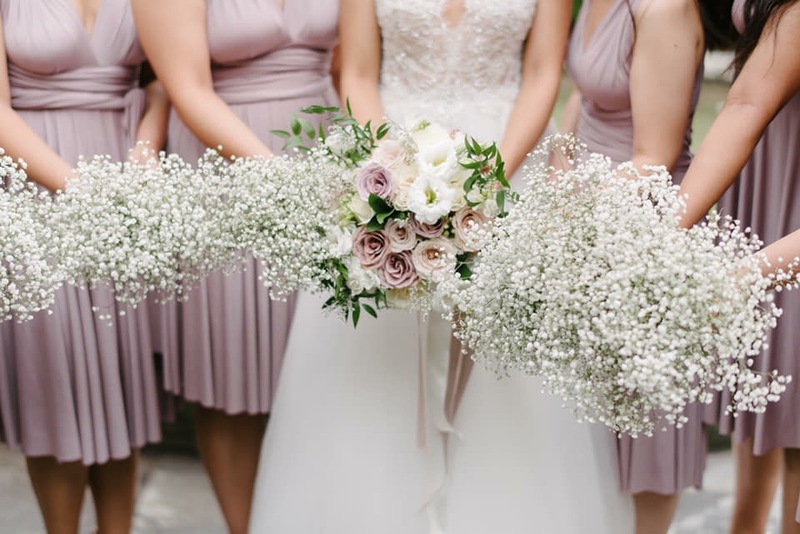 Once you have made decisions on the style of your wedding, you can start looking into hiring your other vendors such as; the florist, decorator, cake baker and hair/make-up artist (s). Make sure to book in your officiant as well! 8. Remember to enjoy it! Sometimes I see couples get so caught up in the planning; choosing vendors, managing their budget, navigating difficult conversations with family/friends , planning the different pre-wedding events, that they start treating it like a second job, and not a fun one at that! The last thing you want to do is to burn yourself out before your Big Day, so take some deep breathes, schedule time to just relax and remember at the end of the day, you’re marrying the one person you want to spend forever with! Now that we’ve given you a summary of the next steps to take, we hope you’re feeling a little less overwhelmed, but if not always feel free to contact us with any questions or to book in a Free meeting! We love helping couples and Coffee and sweet treats are always on us!